2. 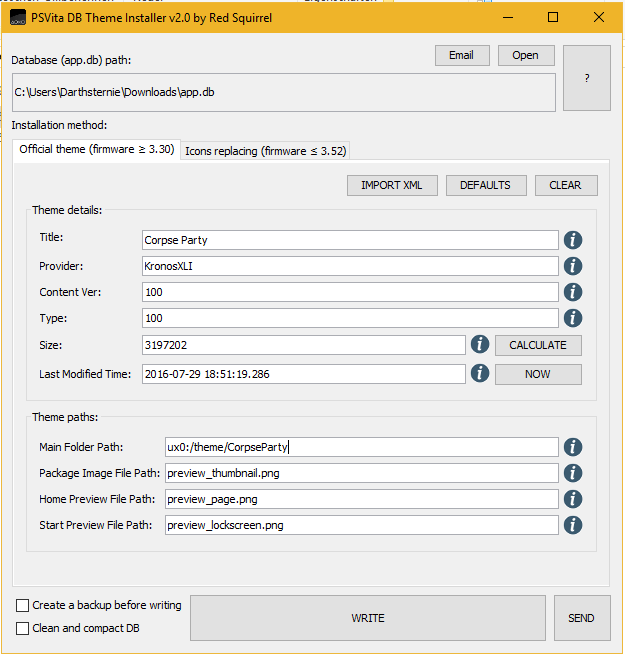 On your PC open up RedSquirrels PSVita DB Theme Installer 360 Edition and enter your PSVitas IP and Port to connect. 4. 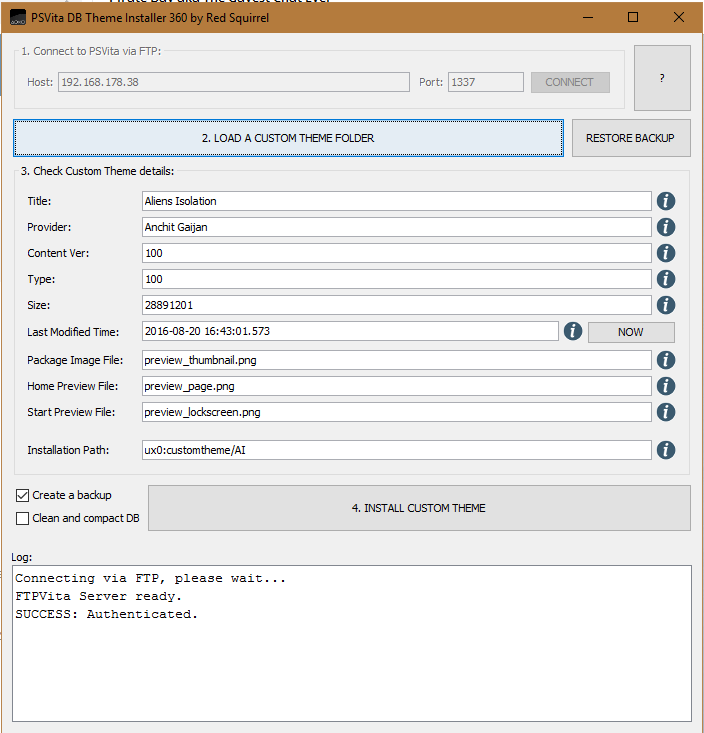 Press Install Custom Theme. It will now write the required lines into the app.db and copy the Themes to ux0:customthemes. Don't cut the wifi connection while installing or you will be left with a non-working Theme. 2. 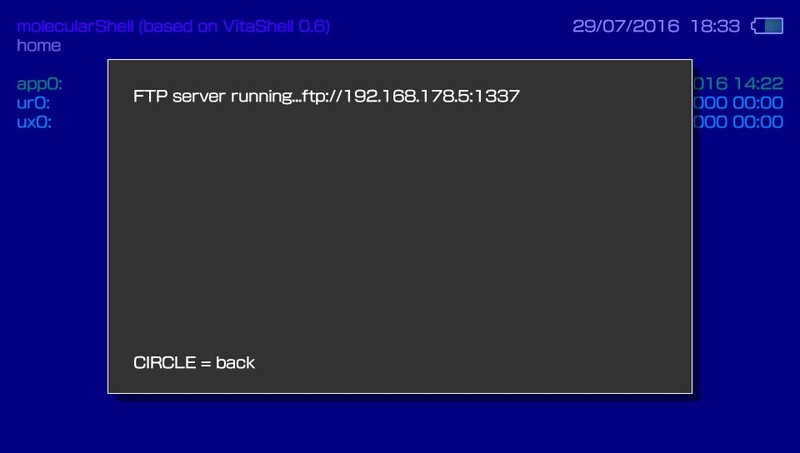 On your PC connect to your PSVita with your Preferred FTP client. I used Filezilla for this. 3. Go to /ur0:/shell/db/ and download the app.db to your PC. 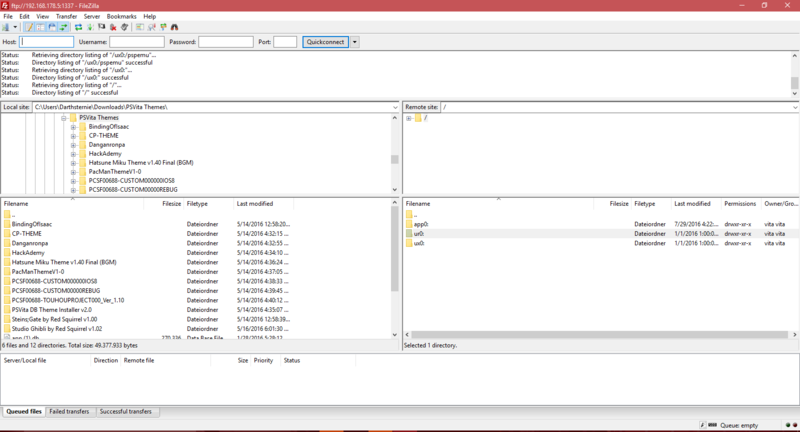 Don't close Filezilla just yet, you will need it later. 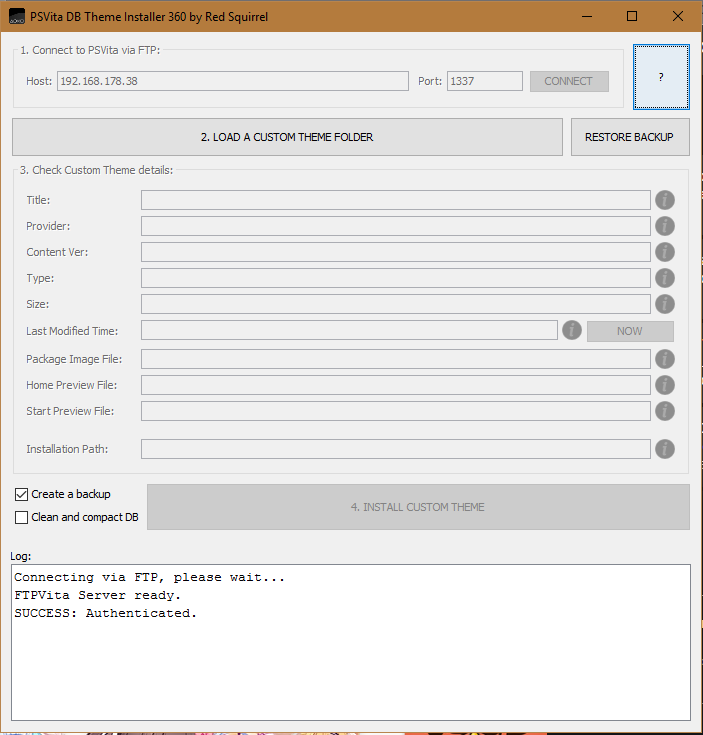 You can download more PSVita & PSTV custom themes here..
You are putting the ip address that HENkauka gives you into the quick connect of filezilla? Like in the pic, I but arrows on the pic, where you enter in the ip info. I followed the guide exactly a couple of times, but I had broken images in the theme preview and the theme would not apply. 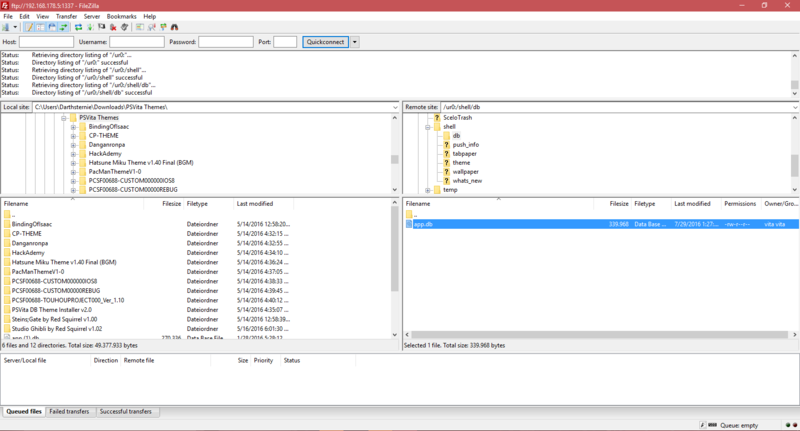 The only fix I found was recreating the database from safe mode, then editing the new app.db. Just putting this out here in case anyone else has the same issue. You'll lose your custom icon placement, but it appears to fix the issue permanently. I was able to add 5 new themes without any issues.